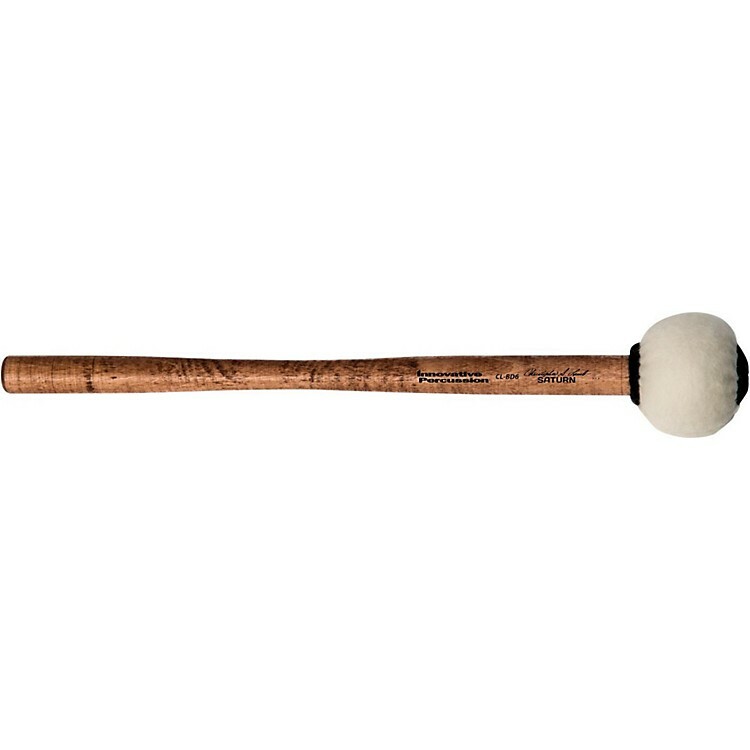 A series of concert bass mallets designed for Grammy-winning percussionist, Christopher Lamb. The Christopher Lamb Orchestral Series Bass Mallets line from Innovative Percussion have been engineered carefully with weight distribution thoughtfully considered. Some are designed to be nimble in the hand and snappy off the drum while others are intended to allow a lingering weight at impact. In all cases, they will address the feel you are looking for and the sounds you are imagining. The CL-BD6 Saturn is a mid-size mallet lends itself to many creative opportunities on the bass drum. The carefully crafted handle allows for the effort and activity to take place at the top of the mallet; it can be used to roll or play broad articulated patterns and medium weight single notes.